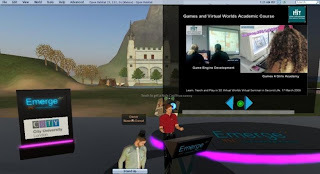 The virtual seminar include teachers, students, educational technologists, researchers and anyone interested in 3D virtual worlds and games. My presentation Start your Engines! Real - Virtual Worlds Engaging Interactions focused on real - virtual worlds engaging learning interactions by using video games. Several Mash-up and video games concepts developed on game engines and social networks at the Instructional System Technologies Department at H.I.T- Holon Institute of Technology were presented. 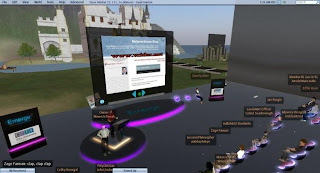 As the SLACTIONS 2009 Israeli Chair and the Guest Editor of the coming Journal of Virtual Worlds Research [JWVR] and I've announced the call for papers "The Metaverse Assemble" and H.I.T's participation at SLACTIONS 2009.
will get invitation to submit expanded version. 5 special editions of journals available! Publication Date: December 2009/January 2010. Feel free to forward the SLACTIONS 2009 SCFP. Thank you.